If your ancestor moved from point A to point B, do you know the contemporary events that might have caused people to leave point A and settle in point B? It is always possible those events did not impact your ancestor directly, but an understanding of contemporary causes of migration “push” and “pull” never hurts. Years ago, I had a quick translation done of this postcard. Over the years the translation became separated from the card. I should have appended the translation to the image, put them both in one PDF file, or stored them in a separate folder as two separate documents-the image and the translation. Make certain that documents that really need to be filed together are filed together in a way that they won’t get separated. Charting Key Relationships on Paper with….a Pencil! Sometimes one needs a chart showing the relationships between several key people—not all the descendants of one person, not all the ancestors of one person, or not all the relatives of one person. Genealogical software usually doesn’t allow for charts to be created showing a select number of individuals. It may be faster (depending upon your purpose) to sketch out a chart on paper to keep the relationships clear while working on those individuals. Later a more polished chart can always be made using the hand drawn one as a starting point. 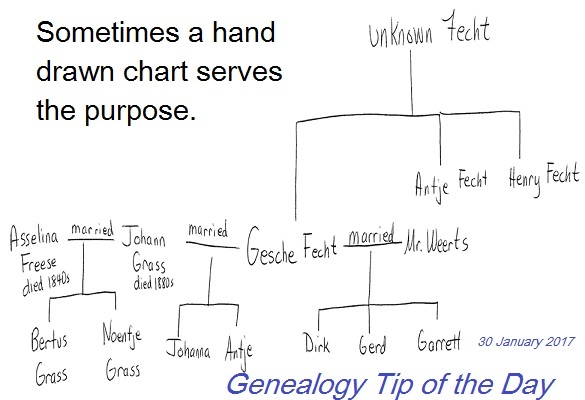 The genealogy world will not end if you use pencil and paper. 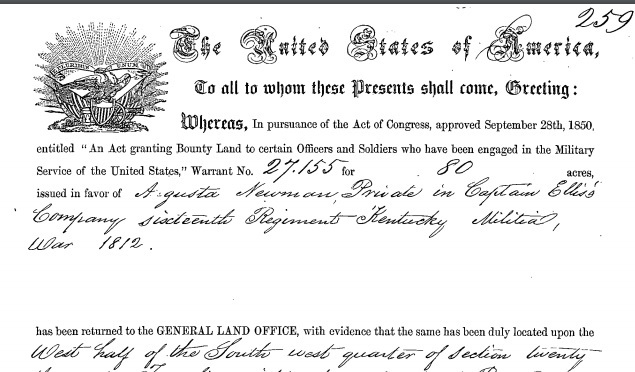 What Does a Veteran Do With a War of 1812 Land Warrant? Then whoever had the warrant would claim the appropriate amount of acreage in the federal domain and surrender the warrant in exchange for title to the property. The warrant was what was used for payment or consideration. After the paperwork was completed, the individual who surrendered the warrant would receive a “first deed” (patent) giving them title to the real estate they had claimed. The application to get the warrant (filed by the veteran or his widow) is at the National Archives. The surrendered land warrants are as well. I just finished my “Basics of Citation” webinar–I went over the allotted time and had good questions from attendees. We looked at several examples during the hour-long presentation and discussed the philosophy of citations in a down-to-earth, practical fashion. Our focus was on typical documents and sources researchers use. We did not focus on the arcane or unusual. One of my goals was to make citations less intimidating. I want people to cite their sources. It is not the end of the world if your citations are not in the technically proper format. My goal is to make researchers less concerned about minute details and more concerned about the importance of citations and what information is crucial for later research and analysis. I don’t want to people to forgo citations because they’re worried about not doing them right. The presentation can be ordered for immediate download–handout included. Do not use this link to request your complimentary copy if you registered for the live session. Email me at the email given in your receipt. Thanks! When you find it, save it. Save the image or the text in a way you can view it later. Save it to your own computer, flash drive, jump drive, digital media, or other storage medium. Backing up to the cloud is fine, but make certain that your cloud storage is backed up to other media. That should be physical media over which you have actual control, media you know exactly where it is, and media you can actually put your hands on if necessary. You cannot put your hands on the cloud. If your files are stored one someone else’s server or site, there is the possibility you may lose access. The company may go out of business or you may be unable to afford to maintain the account. The company may even no longer license the material for subscribers to use. It won’t take that long. Then you can analyze it all you want. Did Your War of 1812 Veteran Get Land? Many veterans of the War of 1812 received federal land as a benefit of their service. 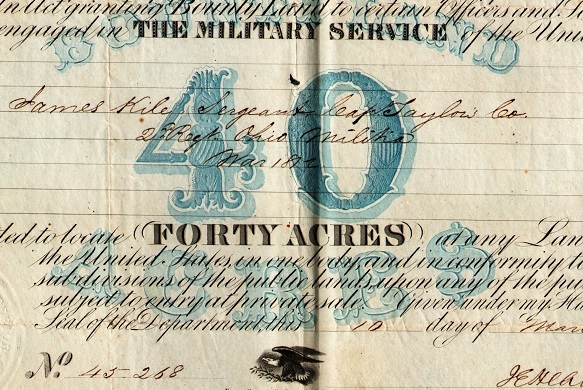 The patents (first deeds) that were issued based on their military service are online and indexed at the Bureau of Land Management website. We’ll have more details in a future tip post. Did they Settle Somewhere Temporarily? Sometimes we think our ancestors arrived from overseas knowing exactly where they were going to settle. That’s not always true–either for ancestors who were urban dwellers or farmers. They may have easily temporarily stayed with former neighbors, friends, or relatives who lived in a different city. And then, when they got their bearings, maybe saved a little more money, and found their bearings, they moved on to that place where they ended up staying for the rest of their life. 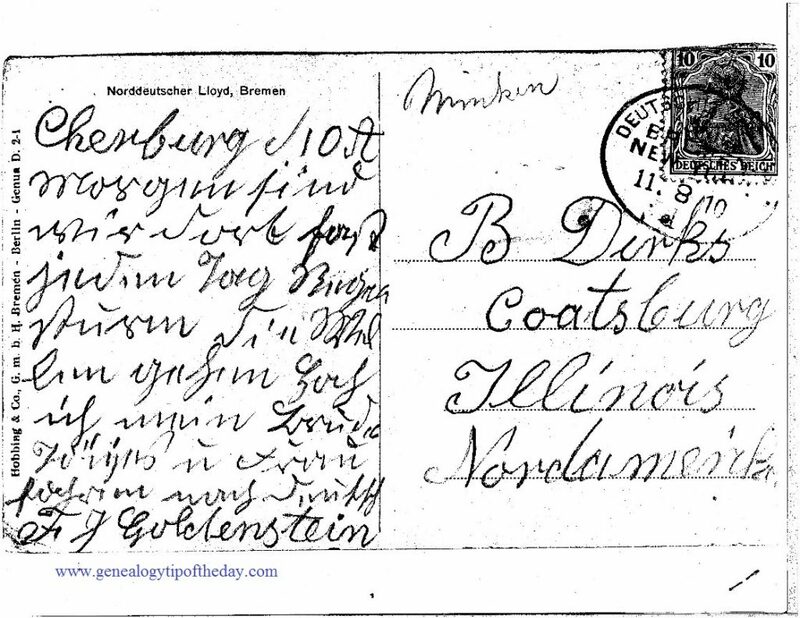 Did Your Ancestor Go Missing? People disappear without a trace for a variety of reasons. That’s a different kind of “missing” that is more than simply being unable to find them in records. 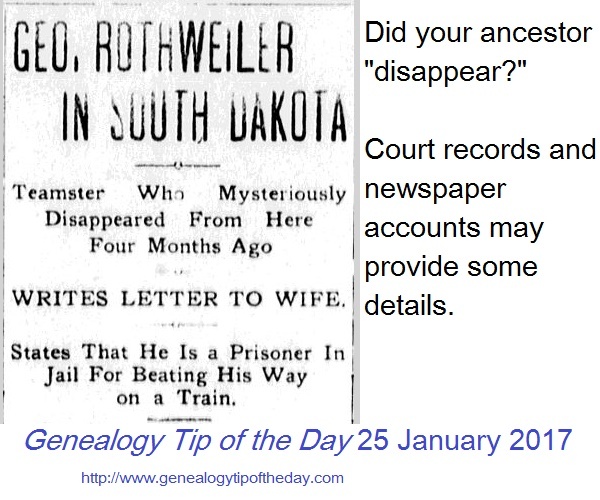 If your relative disappeared–either intentionally or as the victim of some type of crime–newspaper accounts or court records may provide additional detail. If the relative just up and left, there may be divorce records as well. It’s also possible that some reference to the disappearance may be mentioned in probate records for an estate in which the missing person was an heir. When Michael Trautvetter came to Campbell County, Kentucky, he was in his mid-forties and married to a woman named Margaret. 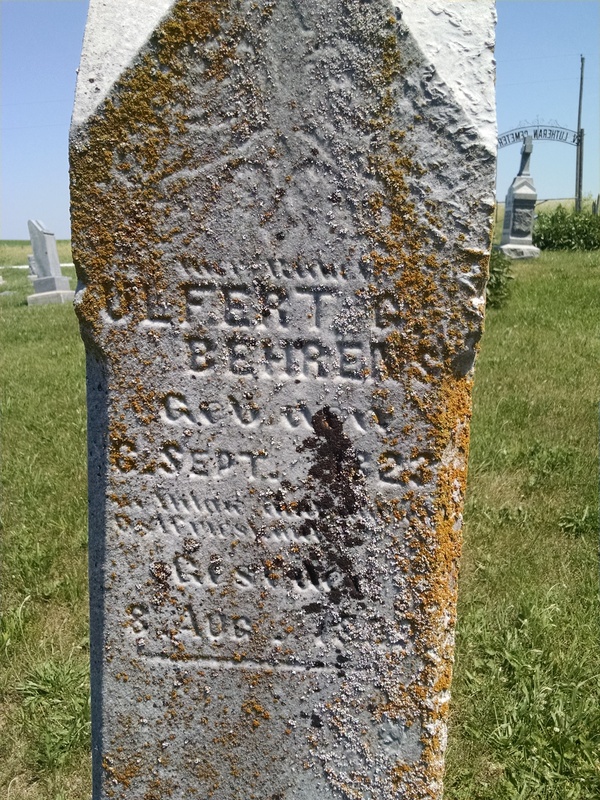 A woman with that name and consistent ages is the oldest female in his 1850 and 1860 census enumerations and appears with him on several land records. 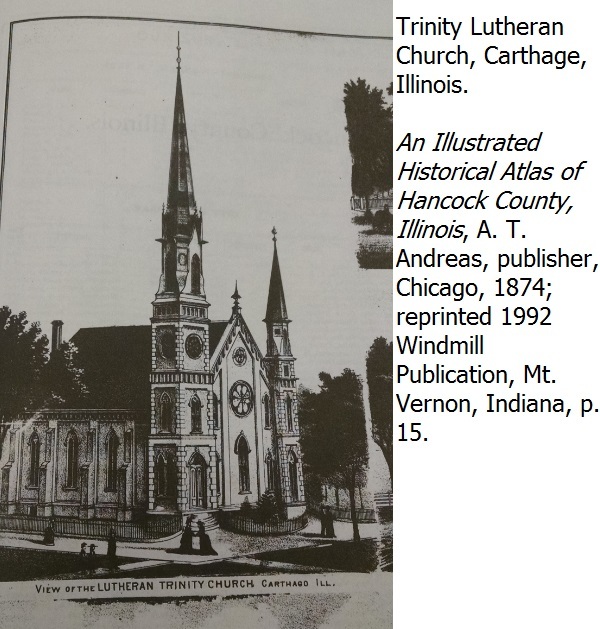 It turned out something happened to Michael’s first Margaret and he married another woman with that name between the 1850 and 1860 census enumerations.